2x3x10x.biz (Double, Triple or Ten times your business) is a personal business coaching company that gets you the results you want in the time you want. We focus on YOU using our 5-part methodology to help you achieve your your objectives. Whether you are the mail room clerk or the CEO, we clarify your objectives and together map out a strategy to get you to where you want to go. Our focus is on you - the individual. 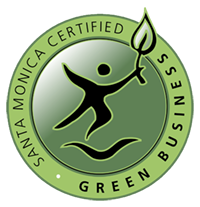 The Business Breakthrough Session is normally a $295 value which I offer as a complimentary service via the Santa Monica Chamber. Click here to book your complimentary 90 minute Business Breakthrough Session. I look forward to spending this time with you and helping you achieve your goals and Double, Triple or even 10X Your Business!